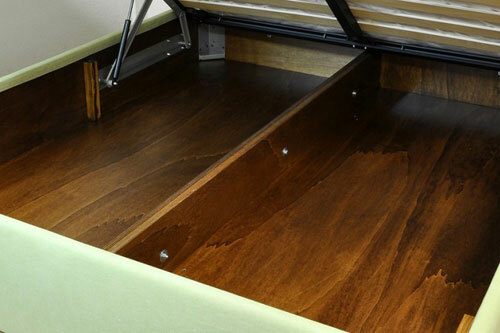 Are you looking for a high-quality storage bed? You are in the right place. In fact, the main requirement of our storage beds is the high and long-lasting quality. All our models are made from the finest materials, in particular, we use a 2 cm thick poplar plywood for the whole bed frame. This makes the VAMA storage boxes very resistant to heavy loads, in fact, a person can walk through them (even jump in them, as you can see in the video). Plates, reinforced joints and hydraulic pistons (like those of the car doors) make the opening mechanism very reliable and durable. In our collection, you can find double storage beds that can be produced in single, Queen or French sizes. 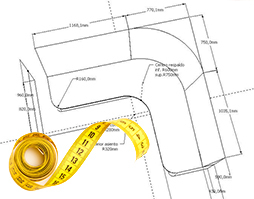 We also realise custom storage beds following provided drawings or pictures. Feel free to contact us for any request or more information. All the Upholstered Beds of our catalogue can be equipped with inner Storage box. Why choosing a Storage Bed? The Storage Beds represent a simple and effective solution to optimise the available space inside your bedroom and, in general, in your whole house. 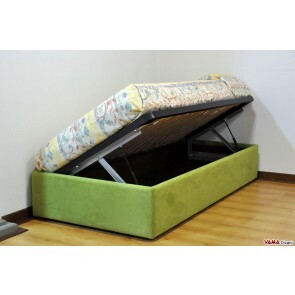 A Storage Bed is in fact a piece of furniture specifically designed to take advantage of its large storage base, which is placed under the mattress, as a compartment to store clothes, pillows, blankets, pillow cases and all sorts of objects you want. We realise our Storage Beds paying maximum attention to both strength and design: the solidity is ensured by high-quality materials, such as poplar that composes the thick plywood of the structure, from a visual standpoint, it is absolutely impossible to understand the differences between a storage bed and a traditional one. We offer a wide range of Storage Beds: Classic or Contemporary models, upholstered in leather or fabric, with or without headboard.